The Cabinet is ground mounted and it can be equipped with 36 Chassis splitters and 28 integrated trays, outside dimensions 1450*750*300mm including the pedestal.
. The housing is made of SMC.
. 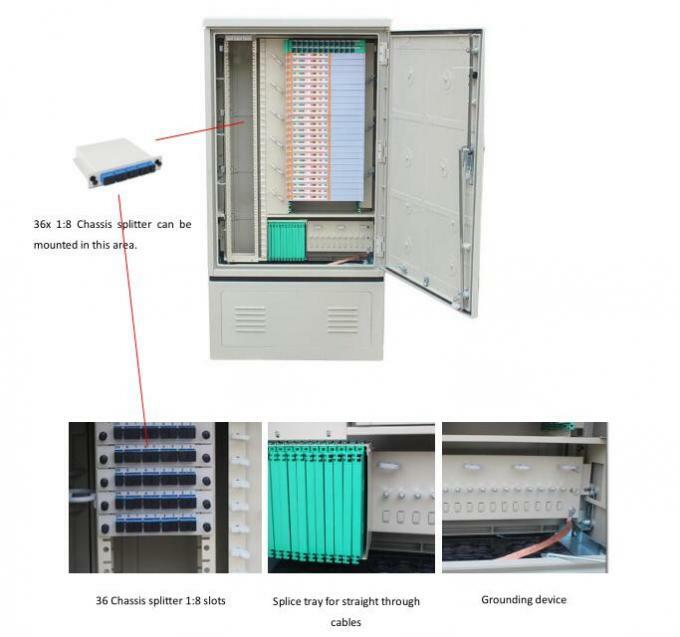 Fiber Optic Street Cabinet With very good mechanical properties and very good performance in Anti-aging, resistance to corrosion and long service life.
. Chassis Splitter 1:4, 1:8 is applicable.
. 12C integrated tray for 12 splice and 12 patching.
. Solution for Wall-mounted or Pole-mounted is also provided.